Wear your American pride with stars and stripes. 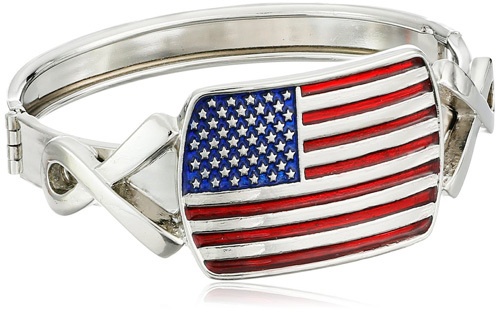 This silver tone American flag ribbon cuff bracelet is the perfect reminder of the classic heroes who wore the American flag in their hearts. Detailed with two awareness ribbons, this bracelet is a favorite among all Americans. Designed and manufactured with pride in the U.S.A. It is one of the great collection of the brand “1928 Jewelry”.